Panasonic Corporation has boosted its expansive lineup of Intelligent Security solutions with the launch of True 4K security cameras in Asia Pacific. The new models, which were officially unveiled at ISC West in Las Vegas, USA, include the True 4K outdoor vandal dome (WV-SFV781L) and outdoor vandal fixed (SPV781L) cameras. Featuring a 12 megapixel advanced imaging sensor and optics capabilities, the Panasonic True 4K cameras elevates surveillance to the next level with True 4K resolution and wide-angle coverage, all of which supports the aim to safeguard public assets while helping businesses reap cost savings. According to research, the global video surveillance market is expected to grow at 24.08% CAGR by 2019. In an era where security threats are increasingly prevalent and widespread, video surveillance acts as a safeguard for vital infrastructures and environments. “We live in a technologically driven world where possessing the latest security technologies is increasingly critical in ensuring that threats are contained. Organizations are placing greater emphasis on video surveillance systems and services to make sense of the explosion in surveillance data,” said Mr. Kazunori Kamijo, General Manager, Global Marketing Group, Security Systems Business Division, Panasonic System Networks Co. “The Panasonic True 4K models set a new standard for 4K cameras, delivering state-of-the-art solutions that addresses customers’ concerns for a high performance security surveillance camera. As the next generation of video surveillance, Panasonic’s True 4K cameras are set to be game changers for organizations involved in mission critical applications such as public safety and transportation, especially in areas that require ultra-high resolution, low-light capabilities and wide-angled surveillance, such as ports, warehouses, energy plants, shopping malls, carparks, banks and other commercial buildings. Designed to also overcome challenges of image visibility, the Panasonic True 4K camera rests on the strong foundation of its in-house designed 4K engine, achieving smoother video playback. “Adopting Panasonic high-resolutions optical technology by using its custom-designed lens ensures that the True 4K cameras produce the highest quality genuine 4K images, with consistent sharpness across the entire frame, unlike other models available in the market. Specific areas can be viewed clearly, for example in a parking lot, and which is essential for evidence gathering, regardless of day or night. Our True 4K cameras are revolutionary in that we can get clear quality video that will aid organizations in reviewing past footage quickly and easily,” said Mr Kamijo. 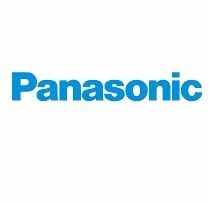 The Panasonic True K cameras will be available from May 2015 globally.